What are evaporative coolers? 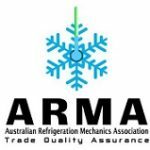 – FAQ’s Air-con – ARMA\’s Consumer Community Forum – Because Customers Matter! An evaporative cooler requires doors or windows open to allow airflow. As a guide, the entire volume of the room should be flushed through every two minutes (or around 30 air changes per hour).